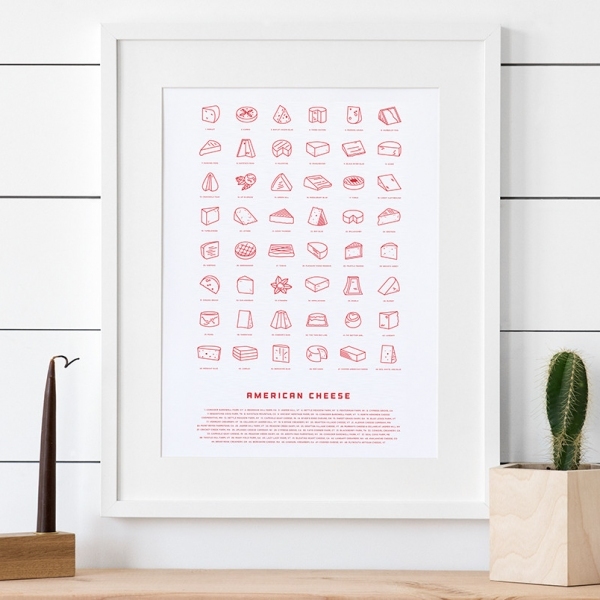 Our American Cheese Poster features original illustrations of 48 of the best domestically produced cheeses from across the country. Printed in New York on 12" x 18" natural white paper. Was $15, now 30% off.